Dawn Insurance is a new, yet reliable insurance provider that has impressed clients and critics since their launch. They recently announced that they would now be offering auto insurance for high-risk drivers. It can be difficult to find good auto insurance, especially for anyone classified as a “High-Risk Driver.” Because the individual has been labeled as someone who is more likely to be involved in a car accident, most insurance companies will only give them sub-par auto insurance with high payments. http://dawninsurance.com/ is the best place to find high quality insurance online, and their recent announcement that they would be providing high-risk auto insurance is great news for anyone looking for an insurance alternative. Dawn Insurance is quickly becoming very popular for their quality insurance offers. They have made themselves known as the insurance provider that cares. 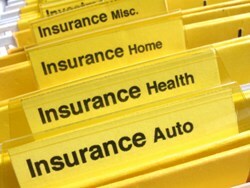 They specialize in finding the exact insurance policies that each of their unique clients need. In several press statements when the company was in it’s launching stage, Dawn Insurance made it clear that their focuses and goals were in the best interest of their clients needs. In such a short period of time, Dawn Insurance has already made a substantial effect on the insurance industry. Considering their obvious dedication to their clients, it will be very interesting to see what effect this business will have in the future. Dawn Insurance is a new insurance provider that has armed itself with all of the tactics and skills that other insurance providers have spent years gathering and perfecting. They specialize in getting anyone at all approved for the best agreements and policies for their home, health, or auto insurance. Anyone is welcome at Dawn Insurance and their approval rates ensure that acceptance is guaranteed. Visit http://dawninsurance.com/ today and get the insurance you need to be safe and protected.